What’s on the Menu at Artisphere? What’s the first thing you ask someone when you move or travel to a new place? You ask them where to eat. At Artisphere this year, we have a wide variety of restaurants and budding chefs participating in our Culinary Arts Cafe experience. Greenville’s culture of eating and drinking has grown exponentially in the last few years, even with a predicted thirty new places emerging in the Upstate in 2017. From new coffee shops, to taco tastes, to diner cuisine, we are putting ourselves on the map as a foodie frenzy. 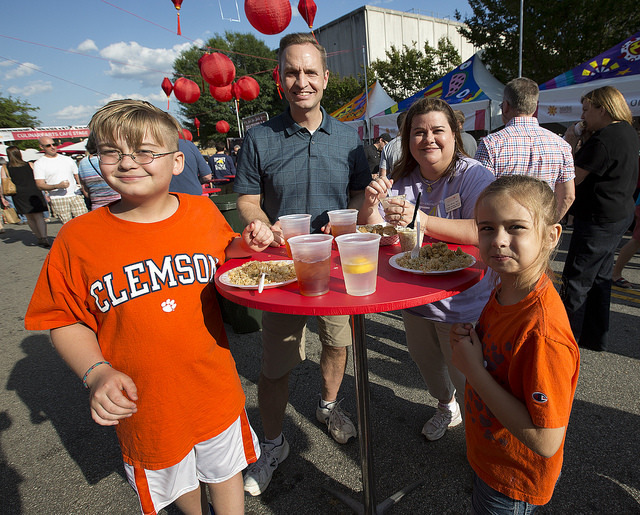 As Greenville grows, we are happy to feature local loves on our menu for the full festival experience. Our newest Artisphere restaurant is Cantina 76. Taco-bout some tasty local cuisine. 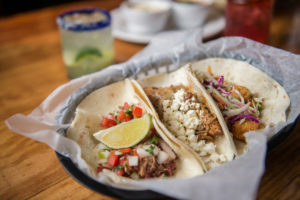 In addition to being one of the newest foodie destinations in the One City Plaza, close to Methodical Coffee and Caviar & Bananas, Cantina 76 serves up some fabulous and creative taco treats. 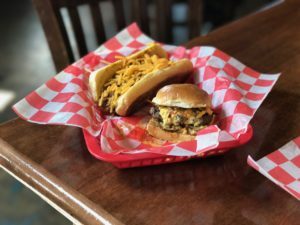 American Burger Company, or ABC, another new friend to the Artisphere community, will be serving not only scrumptious burgers and hot dogs, but also their own “Lug Nuts”- doughnut holes. Who would have guessed that a place with “burger” in their name would also be serving up sweets? As previously mentioned, there are budding chefs coming to Artisphere too! The Greenville County School District Career Center Culinary Program teaches students about hospitality, food preparation and management, and menu planning. Both the Donaldson Career Center and Golden Strip Career Center programs are going to wow us with their popping popcorn skills. If you’re an Artisphere veteran, you’ll be familiar with Larkin’s on the River, Barley’s Taproom, Babaziki Mediterranean Grill, MiMi’s Steakhouse of Japan, and The Trappe Door (last year’s Best in Show winner). All of these special places will join us once again for a Culinary Arts Cafe to remember. © 2019 Artisphere. An Engenius website.